The South Lawn – Page 7 – It's all about the grassroots, y'all. 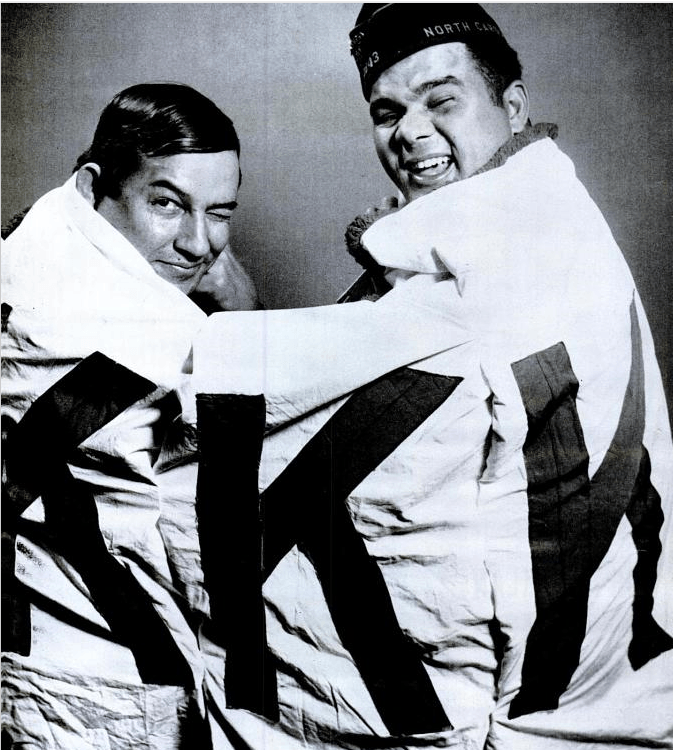 Once upon a time, a small group of indigenous people took on the Klan and won in the rural South in 1958. The Lumbee tribe is not a big or especially well-known tribe outside of North Carolina. Its members make up the overwhelming majority of the population of Pembroke, NC and they constitute 40% of the population of Robeson County, which is on the North Carolina-South Carolina border. The Lumbee are denied access to the funds set aside for most federally recognized tribes despite gaining federal recognition in 1956. This is part of why Robeson is not a rich county: 1 in 3 residents live in poverty as of 2012, with 8% unemployment as of 2015. Aside from poverty, there was another thing making life hard for the people of Robeson County in 1958. It was a Klan Grand Wizard obsessed with preventing miscegenation. His name was James ‘Catfish’ Cole, and he had come up from South Carolina to teach the Lumbee a lesson about not intermarrying with white people. He deployed two tools from the usual array of Klan terror: night rides and cross burnings. Cole was planning on holding a rally and cross burning near the town of Maxton by a place called Hayes Pond. It did not go as he wanted it to. When approximately 50-150 Klansmen were all set to rally, 500 Lumbee, armed with rocks and sticks and firearms swarmed them. Four Klansmen were wounded by gunfire, the rest (including Cole) ran for the woods, leaving behind their families. The sheriff ultimately showed up and dispersed the ‘Klan rout’ after the Lumbee tribe took the Klan’s banner as a trophy, which is pictured above with the leaders of the Lumbee group who confronted the Klan, Charlie Warriax and Simeon Oxendine. Cole was ultimately arrested and prosecuted for inciting a riot, and the Lumbee still celebrate the anniversary of the Battle of Hayes Pond to this day. So. What does that have to do with Trump? When Performance Is Your Politics. When are Christians going to go on television and denounce the Planned Parenthood shooter? Why didn’t law enforcement kill him? Why is he alive? Why aren’t they calling him a terrorist? When is the white community/Christian community going to be surveilled? Continue reading When Performance Is Your Politics.